The aim of the Foundation is to provide support for the activities of the Karmapa and his successors, as the Supreme Authority of the Kagyu Order. To alleviate suffering in all its forms and to that end to provide both direct and indirect charitable assistance to those in need or to persons afflicted by hardship, physical or mental. The Foundation may engage in any activity for the purpose of alleviating or preventing suffering, providing and encouraging the use of ways and means to attain freedom from such suffering and, more generally, for the purpose of bringing about lasting peace and prosperity for all beings. programmes for the purpose of cultivating knowledge of and wisdom of the mind and the study of the philosophy; in particular the ethics of life and human interaction, with special reference to those which have been developed in Tibet, especially in the writings and teachings of the Karmapas since the 12th century. programmes of comparative research into the sciences of mind in relation to contemporary science and philosophies and other philosophical, cultural, spiritual and religious traditions; with a view to assisting and promoting all forms of cooperation with such traditions, wherever they are to be found, as well as contributing towards the improvement of the overall condition of mankind and the peace and prosperity of individuals, groups, cultures, nations and of the whole world. 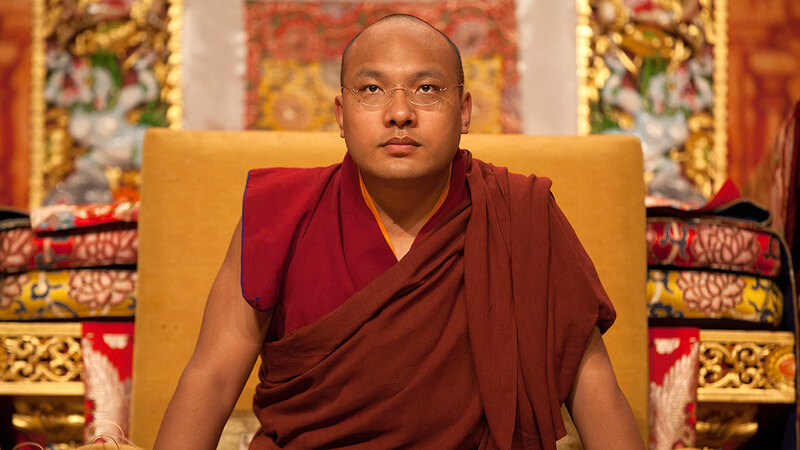 programmes in which the 17th Karmapa Ogyen Trinley Dorje is involved including the sponsorship of his teaching and lecture tours, seminars, symposia and other activities falling within the aims of this Foundation. To protect the environment and to that end to support initiatives for environmental protection, including the promotion of a balanced approach to the use of resources in relation to the limits of the planet, and to promote the development of awareness of how to treat the environment and to help restore environmental equilibrium, on the basis of knowledge both past, present and still to come. To preserve the specific cultural and artistic tradition of Tibet, so as to provide a stable basis that enables theTibetans to make their special contribution to the world and at the same time to help other cultural and artistic traditions that reflect the vision embodied in the aims of this Foundation. To sponsor institutions such as universities, shedra (monastic colleges) and other teaching establishments with or without legal status. To assist cultural institutions, both lay and religious, with or without legal status, that help communities and/or individuals who share the vision embodied in the Foundation Statutes. To publish in traditional and contemporary media, in particular [by] creating, publishing and disseminating teaching materials and other instruments connected with the aims of this Foundation, whether in writing, graphic or any other medium. This includes the recording, transcription, translation or adaptation in any form whatsoever, of lectures, teachings, seminars, etc. which are consistent with the aims of this Foundation, in particular those financed and/or organised by the Foundation.